Sue Posh, Author at Hamilton School District. 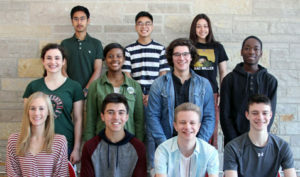 Hamilton High School students representing 11 curriculum areas were selected as students of the month for March. 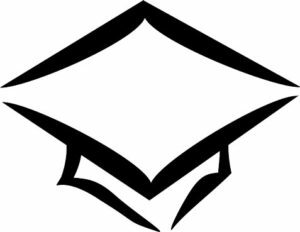 Hamilton High School will recognize outstanding seniors May 22 at the Senior Scholarship Ceremony. This is a special night to recognize seniors for their accomplishments as outstanding scholars, athletes, actors and musicians. Morgan Price – Honorable Mention for photography. Gold Key art work will advance to national competition. The Wisconsin Scholastic Art Awards program, which features outstanding works by students in grades 7–12, is the regional section of the Scholastic Art and Writing Awards National Program conducted by the Alliance for Young Artists and Writers, Inc.
Templeton Middle School Eighth Grade Chorus, under the direction of Jaye Mier, will present “Madagascar – A Musical Adventure, Jr.” April 11 in the Hamilton Fine Arts Center (HFAC). This delightful family-friendly show begins at 7 p.m.
Based on the smash DreamWorks animated movie, the musical follows all of your favorite “crack-a-lackin” friends as they escape from their home in New York’s Central Park Zoo and find themselves on an unexpected journey to the madcap world of King Julien’s Madagascar. 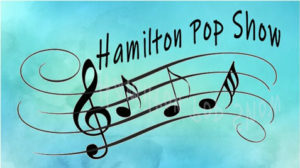 General seating tickets are available online at www.hamiltonfineartscenter.com, by phone at (800) 838-3600 or at the door one hour prior to the show. Tickets are $7 plus a $1.24 service fee for online and phone orders. Online tickets cannot be purchased the day of the show, and phone sales end one week before the show. If still available, tickets at the door will be $9. Children under 5 and senior citizens with Golden Agers passes may attend for free, but they must have complimentary tickets for admission to the performance. 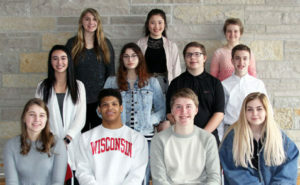 Hamilton High School sent 22 DECA members to the March 4-6 Wisconsin DECA Career Development Conference in Lake Geneva. 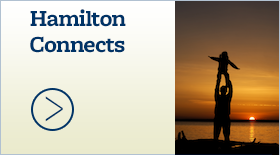 Hamilton earned 48 awards and qualified 12 members to advance to the international conference. Sophia Detweiler, two medals for retail merchandising. The following students have been invited to compete at the international conference based on performance: Peyton Feudner and Gavin Kuhlenbeck, School-Based Enterprise. Matthew Lehner, one medal for human resource management. 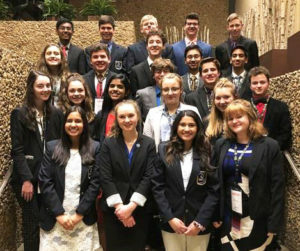 Business education teacher and DECA advisor Skip Hay will accompany qualifying students and Charger Corner managers to the international conference. Hamilton High School students representing 11 curriculum areas were selected as students of the month for February. 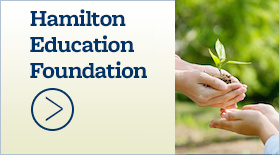 Community members are invited to nominate Hamilton High School graduates for the 2019 Distinguished Alumnus Award which will be presented at the June 15 high school graduation ceremony. The nomination deadline is April 22. 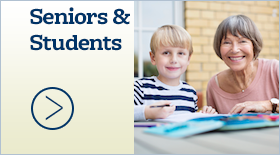 For further information, contact Mongan at (262) 246-6471 x1104. “This has been our most successful show choir season yet – with the team earning several accolades,” Choir Director Marilyn Mascitti said. During the season, the choir earned first runner-up at Brodhead – the highest placement in school history – four best stage crew awards, two spirit awards, best choreography award and top five finishes at three competitions. “This is truly a show not to miss!” Mascitti said. 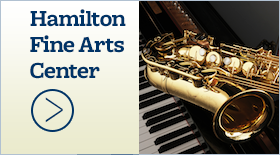 Along with the choirs, five small acts will perform in the HFAC lobby starting at 6:30 p.m. and 13 other small acts will take the mainstage during the show to showcase student talent. The show features rock, rhythm and blues, Broadway and other popular music. Seating is by general admission and tickets, if still available, are $7 at the door. Advance tickets are $5 and are available from choir members and online at https://www.brownpapertickets.com/event/4100337. The HFAC is located at W220 N6151 Town Line Rd, Sussex. Woodside Elementary School kindergartners in Peter Dargatz’s class raised $1,044.86 for Children’s Hospital of Wisconsin Feb. 13 by hosting “Cookies for a Cause. 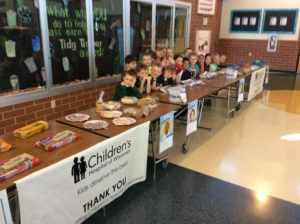 Students promoted the event in school, baked cookies and helped run the fundraiser. During the holidays, Dargatz’s class earned tickets in their social studies unit which taught the difference between wants and needs. Students earned tickets to get items they wanted or turned them in for real dollars to donate. Fundraising will continue in the spring with “Positivity Packages,” a school-wide project led by Dargatz’s kindergarten class. All Woodside students will be challenged to take on an extra responsibility at home to earn money to purchase items from a wish list provided by Children’s Hospital and donate them with cards of support and encouragement. Hamilton High School senior Travis Wells received the President’s Volunteer Service Award in recognition of his exemplary volunteer service. The award recognizes Americans of all ages who have volunteered significant time to serve their community and country. It is granted by The Prudential Spirit of Community Awards. Wells earned the recognition by volunteering at Sussex Outreach Services (SOS) where he has dedicated 1,500 hours the past five years. In addition he has organized local fundraisers, initiated a successful annual SOS holiday children’s coat drive and recruited other teen volunteers.